Meet Minnie! 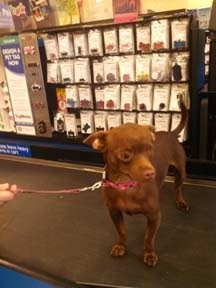 This approx 1 year old female Chihuahua is just under 7 pounds. She is a special little survivor! 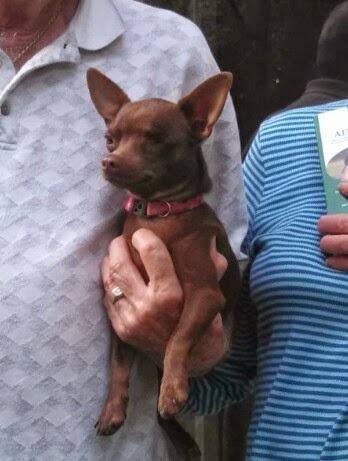 Minnie was found wandering on a busy street. Minnie may be small but she has a big dog personality..she likes to be the boss. She does really well with other dogs, but seems to coexist best with other male dogs. She loves humans and has a very loving, outgoing personality. This dog does not crate well and will scream if put in one. She is housetrained and a door dasher. 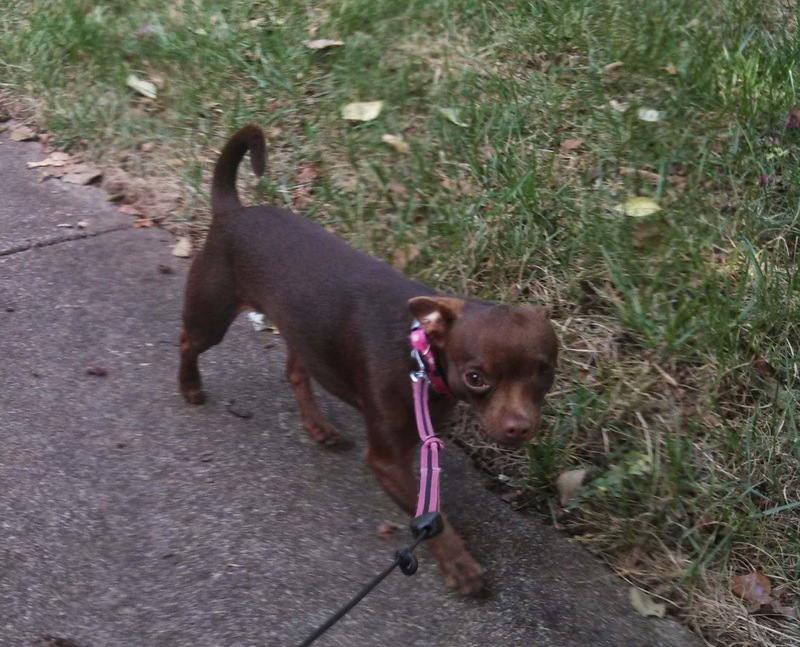 Leash walks and a securely fenced yard will keep her safe. 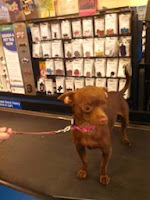 Due to her chihuahua tendency to sometimes be protective, she cannot go to a home with children. By the way, Minnie has only one eye (it seems to have been surgically removed according to the vet) but it doesn't seem to stop her. She is happy and ready to be loved forever. There will be an adoption fee to cover medical as we are not a rescue but an independent rescuer and all her work has been done.